The first Friday Round Up of May! Tonight we consumed an obscene amount of M&S barbecue food (Posh Dogs are my new favourite) and now I'm going to treat myself to a loooong bath with some fancy bath oil and possibly an episode of American Horror Story before crawling to bed for an early night. Forrest has started giving us a 5am wake up call and I need to catch up on some Zs! Tomorrow I'm going to have a lie in with my iPad while Matt gets up and gives Forrest his breakfast - I may even get a cup of tea if I'm lucky! I hope that you get the work return all sorted in your head, I can't imagine how hard it must be leaving that cutie face behind!! 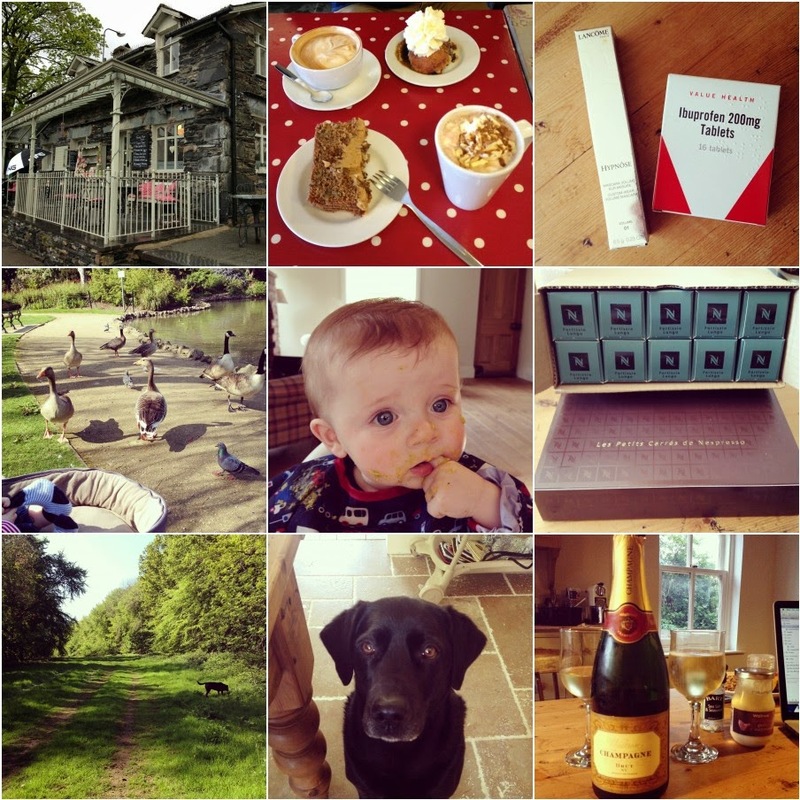 Lovely round up - great pics. Ducks, dogs, & babies! Work is a massive decision, hope you get it sorted after talking it through.